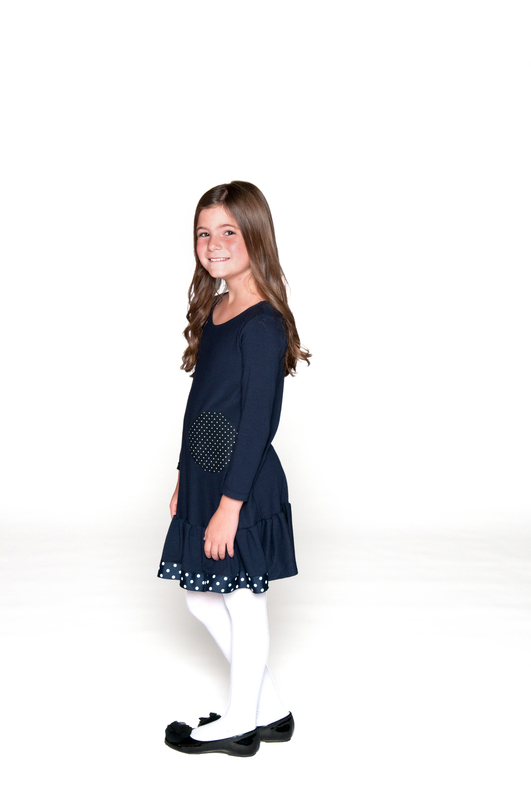 The sleek and skin-soft navy rayon knit Little Laura dress features one discrete navy woven dot, sprinkled with small white polka dots, and a ruffled navy skirt with a splash on front of skirt of navy grosgrain ribbon with white polka dots. 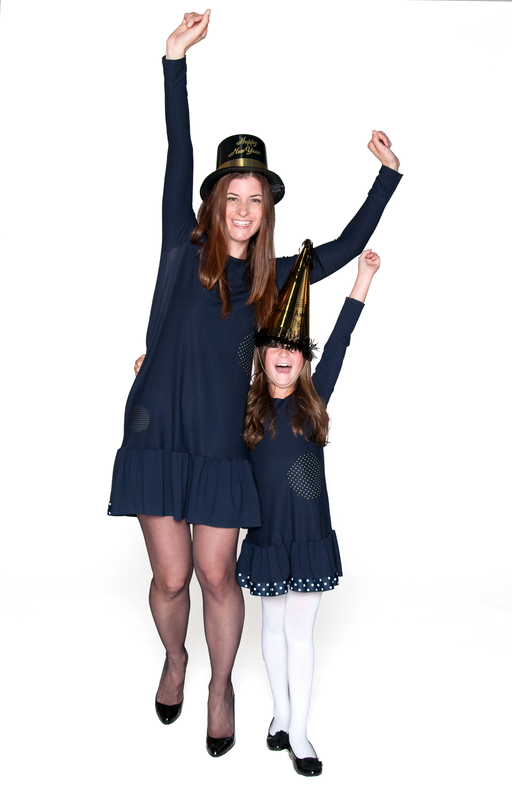 Match mom Laura, friends Vella and Little Ashley or coordinate with Amy, Brigitte, Cherine, Carita and feel and look like a star in your cool Little Laura dress at any occasion this season! SKU: FW151103C Categories: Did you think matching was corny?, Girls Tag: NEW!